Isabelle Russell is a wedding planner and I had the pleasure of working with on her wedding planning website at Garden Rose Events. Isabelle and her husband had purchased a beautiful wedding venue property that provides wedding ceremony and reception venue options as well as lodging for the wedding guests. They were looking for a website to promote their new wedding venue and optimize it for SEO to reach the wedding market in Roanoke, Virginia. Isabelle had invested in some beautiful custom branding which really elevates her branding and website. The custom illustrations by Sara Lane of her wedding venue are gorgeous and truly unique. 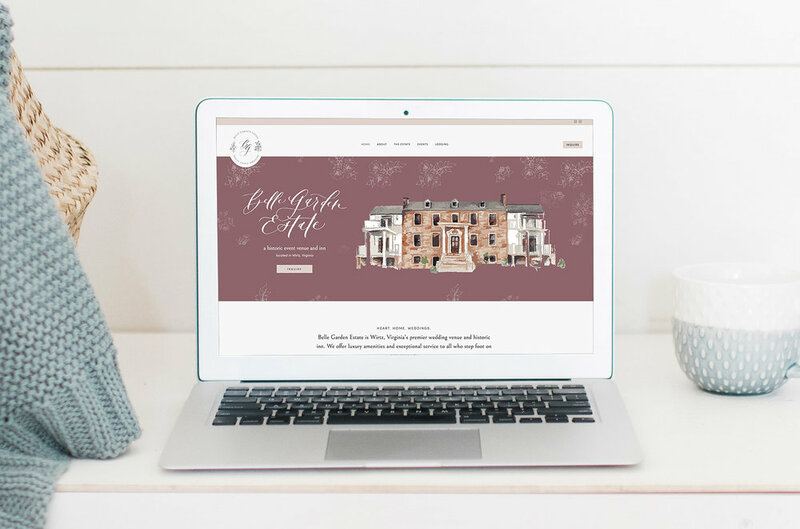 I incorporated the beautiful illustrations and patterns into a website that highlights the beautiful aspects of the wedding venue with targeted calls to action. The design was targeted at getting readers to inquire to find out more about the venue and begin the dialogue with Isabelle. The use of custom photography also sets the site apart with high quality images.